It’s with few objections that the internet has made our lives easier, especially when it comes to education, but we still haven’t made the strides to be expected in the 21st century. Although a study in 2006 showed that 99% of schools have access to internet that doesn’t mean that all children have equal access to the internet. And unfortunately, there are still a number of schools and community locations that lack adequate access to broadband Internet which limits growth generally in lower income areas. The FCC recently approved an additional $1.5 billion in funding for the E-Rate program adding to its $3.9 billion budget, but having some sort of Internet connection is NOT enough. 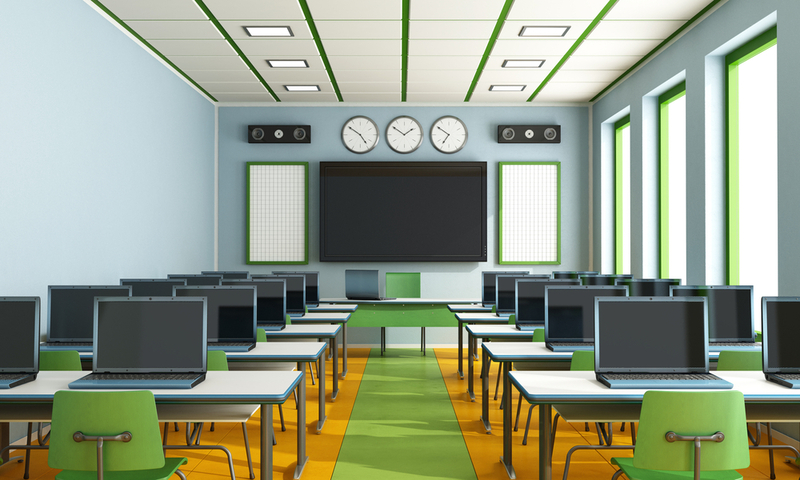 In today’s modern learning environment a dial-up connection is insufficient when adapting to the technological development of the education system especially with the use of artificial intelligence, digital textbooks and digital standardized testings. Though efforts are currently in progress through President Obama’s ConnectED initiative which aimed to equip almost every school in the country with high-speed broadband internet within the next five years, the process has been dubbed as wishful thinking by some. According to EducationSuperHighway at the current rate of Internet upgrades, it would be approximately 2021 before schools meet their current goals, fortunately by that time schools should be ten times as great as they are now. To put this infrastructure in place in far more advanced than it may seem. According to the FCC, a typical school has the same connection speed as the average American home, but is set to serve 200 times as many users. Unfortunately some schools have had to limit usage times between students to maximize speeds. Unfortunately, students in lower income homes tend to suffer in and outside of school. According to EducationSuperHighway wealthier schools are more likely to be meeting the ConnectED goals than poorer schools. The ability of school districts to fund the non-discounted portion of high-speed internet purchases is directly proportionate to the wealth of the school district. For example 2% of schools in America’s wealthiest districts had around less than 1% free and reduced lunch programs within their schools and thus twice as likely to meet the current ConnectEd goals. According to a report from the U.S. Commerce Department titled “Exploring the Digital Nation,” found that low-income and less-educated households with computer ownership and broadband adoption rates were well below the national average. The digital divide spreads further than connectivity, though. Those students who do not have access to regular internet access and/or devices may suffer from digital literacy which has proved more important in today’s workforce. And although poverty isn’t inherently linked to digital illiteracy it is closely related. Lower income individuals’ schools, communities, and households generally lack access, but even with access the need to know and understand how to use the web is pivotal. This understanding creates an engaging experience which can harness the power of technology to become better learners. Even with the increase in mobile devices and smartphone usage, being tech savvy doesn’t mean a student automatically has digital literacy when it comes to using the Internet and technology for learning. According to the 2012 Pew report “Digital Differences,” only 62 percent of people in households making less than $30,000 a year used the Internet, while the usage rate among families making between $50,000 and $74,999 was at 90 percent. Private organizations are starting to take matters into their own hands. The nonprofit EveryoneOn released a campaign called Connect2Compete which launched a program that offers low-cost devices and Internet service, as well as access to digital literacy training programs around the country. They hope to provide access to approximately 100 million Americans without a broadband connection at home.